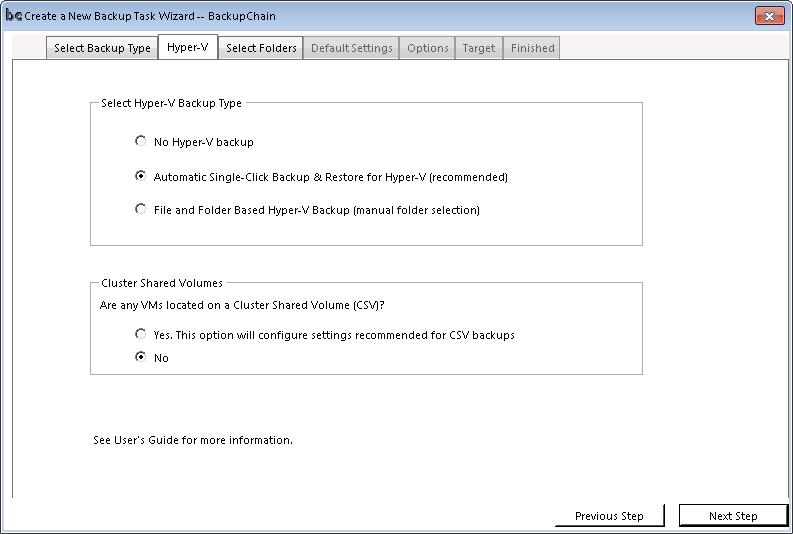 The automated Single Click Backup & Restore feature for Hyper-V reduces the effort and takes care of all the steps outlined in the previous section. It’s important not to use the simultaneous option unless it’s absolutely necessary. There is no speed gain from using this option. The default option is to back one VM at a time, whereas the simultaneous option backs up all VMs simultaneously. Obviously the load on your server will be much higher when a simultaneous backup is performed. The simultaneous option should only be used if you need a consistent backup across multiple virtual machines. This is usually only the case if you have several database servers linked together, or a similar setup that requires data consistency across several virtual machines. Important: The setting “Backup all selected VMs simultaneously” may be unchecked to create sequential virtual machine backups. This reduces the load on your server but takes longer to complete. This option remains checked when using a Universal Backup task; conversely, it can only be unchecked when the task was created as a Hyper-V Backup task type. 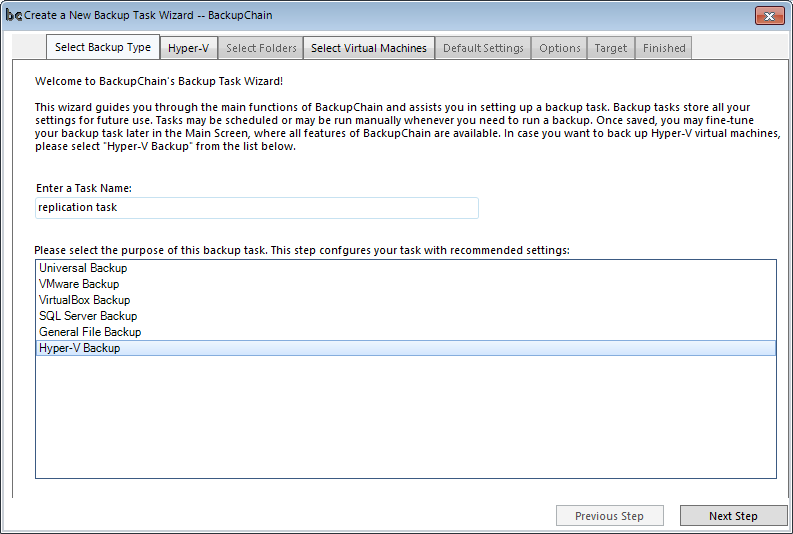 You can proceed with the Backup Wizard with standard or custom options as discussed in earlier chapters and complete the task.